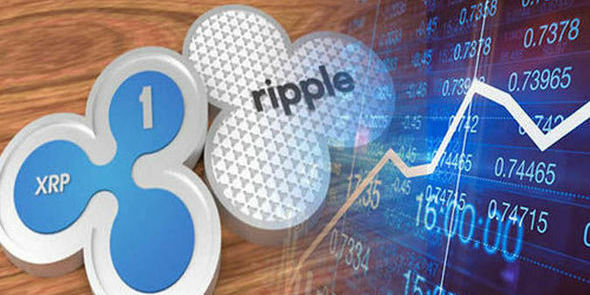 Ripple is planning to upgrade the technology of the cryptocurrency: Ripple is the 3rd most valued cryptocurrency currently. It is planning on upgrading the technology behind the cryptocurrency. This is surely positive news for the ripple investors. Any news of improvement would be beneficial not just for the investors but also the clients of the platform. Ripple launched a couple of new white papers recently. The 1st white paper highlighted the algorithm which is currently powering the platform. The 2nd White Paper highlighted the ways in which the connectivity between different nodes can be improved. It also highlighted the ways in which the verification of the transaction can be improved. Ripple also has many marquee name investors like SBI and Santander. The news that it is looking to improve the infrastructure consistently would actually work in its favor. As the cryptocurrency platform gains more and more efficiency in transferring currency all over the world, the number of clients would also increase consistently. This is the reason why this new white paper by the company is actually positive news. According to the CTO of Ripple, Stefan Thomas the white papers highlight the progress of the company in the right direction. According to him, the start-up wants to improve the technology further in order to make it easier to transfer money all over the world. He further added that this is the 1st time peer-reviewed academic papers have been launched by the company. He was also enthusiastic about the future research which would be carried on by the company. This is the 1st time that the company has launched such research papers. However, the cryptocurrency platform is always at the forefront when it comes to innovation. This is the reason why it is very difficult to beat this platform when it comes to transferring money. According to the CTO, both the papers would improve the security of the platform. This would, in turn, help the cryptocurrency gain more clients as well. With the cryptocurrency adding newer and newer clients on a regular basis, it sure seems like an improvement and the platform would attract an even higher number of clients. This is the reason why this news is highly positive for ripple as it would attract new clients for the cryptocurrency. This would also further increase the valuation of the cryptocurrency as the platform would be used by more and more clients. What are we, as a society, if we aren’t able to build robust relationships based on trust? That, and honor should be in front of every social interaction involving human beings, including financial transactions. As the world shifts towards a more digital, cryptography-protected way of doing business, traditional banking platforms are being slowly phased out the financial scope. Only those willing to adjust and including more efficient payment system, which is both faster and safer, will be able to maintain in the business and survive. The Ripple platform represents one of those innovative systems. While it has been around since 2012, it is still solidly backing up banking and financial institutions in their quest to provide more efficient and faster transactions that can be built around customers’ trust in each other and the network. Ripple is a project based on small free software that pursues the development of a credit system based on the end-to-end paradigm. Each Ripple node functions as a local exchange system, in such a way that the entire network forms a decentralized mutual bank. In other words, the Ripple platform is a distributed social service based on the honor and trust of existing people in real-world social networks. In this way, financial capital is based on social capital. A reduced version of the Ripple network would consist of an extension of the existing hierarchical banking system. To understand Ripple’s place in the crypto universe, we have to value its contributions to the industry. In addition to being one of the most renowned digital tokens out there – even competing for the second spot in market share, behind Bitcoin, with options such as Dash, Litecoin, and Ethereum – it is also one of the most efficient payment networks for financial transactions in the planet. The Ripple technology is, in fact, more widely known for its digital payment protocol than for being a cryptocurrency. Since being co-founded by Chris Larsen and Jed McCaleb in 2012, it has flourished, reaching worldwide recognition and market success via the digital coin, the XRP. Ripple functions in a decentralized platform that fosters money transfers in any form. 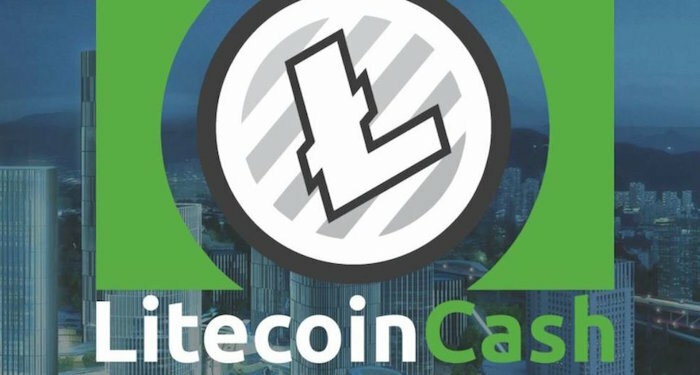 It is open source and peer to peer, and can work with several exchanges and currencies, physical or crypto, such as US dollars, Yen, Litecoin, and Bitcoin. To work correctly, Ripple implements the Gateway medium, which serves as the link in the trust chain between two parties wanting to make a transaction. Gateway is the credit intermediary, the one in charge of receiving the funds to public addresses managed within the Ripple platform. In Ripple, anyone can sign up and open a gateway that authorizes that person to be the middleman for exchanging currencies. The XRP (Ripple) is the associated cryptocurrency of the platform. It performs the part of a bridge currency to other tokens without discriminating between fiat and crypto, facilitating exchanges between different coins. According to Ripple’s chief cryptographer, David Schwartz, the payment systems of today are where the email was in the early ’80s. Every provider built their system for their customers, and if people used different ones, they couldn’t easily interact with each other. The purpose of Ripple is enabling the connection of different payment systems together. Ripple’s original and intellectual authors are Arthur Britto, David Schwartz, and Ryan Fugger. They formed the Ripple Company in 2012 and came up with the initial release. The latest version or release was on February 20th, 2018. The project is written in C++ code, under the operating systems GNU/Linux (RHEL, CentOS, Ubuntu), Windows, and OS X. We can consider Ripple to be a real-time gross settlement, currency exchange, and remittance network. Ripple’s first significant period ranged from 2012 to 2013, involving OpenCoin and Ripple Labs. OpenCoin started the development phase of a new payment protocol, named Ripple Transaction Protocol (RTXP), with Fugger’s ideas, primarily instant money transfer between two parties. By that time, the company had already created its digital currency, the XRP, in the same mold as Bitcoin. Later, between 2014 and 2017, Ripple began to focus on the banking market, with Ripple Labs taking part in related projects. They experimented with an App for iPhone that enabled users to send and receive transfer between them. Since 2013, the Ripple protocol has been adopted by numerous financial institutions to offer an alternative remittance option to people. German bank Fidor was the first to use the Ripple network to allow cross-border payments, in the first part of 2014. American institutions Cross River Bank and CBW Bank quickly followed, and later on, Ripple began working with Earthport. From that point on, success followed, and more prominent banking institutions, such as HSBC and Bank of America, utilize the Ripple protocol to perform operations in astonishingly quick times. Bitcoin, along with other renowned cryptocurrencies in the market, performs its operations with the proof-of-work system. Others, such as Nxt, use proof-of-stake; but Ripple implements the consensus protocol. The consensus protocol validates account balances and transactions in the network, improving overall integrity by avoiding double spending. The system will automatically delete malicious advances from morally shady people looking to send one deal to multiple gateways. In short, the protocol consists of distributed nodes deciding by consensus the transaction’s pecking order through a majority vote. One would think that they take a lot of time to complete. Well, five seconds isn’t a whole lot, is it? Ripple is a decentralized platform because it doesn’t involve any governance or central authorities in any part of the process. While the transactions are all made public in the consensus ledger, there is still anonymity because they can’t be linked with the involved people’s ID or account. All users or gateways have a database of every registered IOU. The consensus ledger that the Ripple system implements is versatile and fast enough that each day, more and more banks and financial institutions are adopting it as their preferred way to perform their business operations. Ripple provides an improvement on the traditional way that banks use to work. The transactions are completed, settled and registered in a matter of seconds despite the high amount of traffic that the platform experiences every day. That is a vast improvement over, say, the Bitcoin system, which takes an average of ten minutes to complete an operation. Traditional banks and financial institutions can take days, or even weeks, to perform a wire transfer, and let’s face it, that delay isn’t going to cut it in our current financial reality. On top of all that, the transaction fees in Ripple are almost non-existent: the minimum is 0.00001 XRP. That’s nothing if you compare it to the costs of a cross-border payment. 52-week High: 3.3153 52-week Low: 0.1500 Ripple Market Cap: Ripple Volume: Ripple Circ. Supply: Max. Supply: While there are no central authorities that control Ripple’s price and behavior in the market, the right answer to the question seems to be no: the platform is not entirely decentralized. That doesn’t mean it isn’t successful, as worldly famous financial institutions such as Santander, Bank of America, UBS, American Express, RBC, and Westpac, just to name a few, use it for operations. The blockchain technology doesn’t allow any party or the network itself to control anything regarding transactions, whereas these banks and institutions, using the Ripple’s distributed ledger, can charge their specified transaction fees. People can’t pre-mine XRPs, unlike the cases of Ethereum and Bitcoin. They are fully decentralized platforms backed by millions of miners all around the planet. No person or entity can have control over them. Ripple, administrated by the Ripple company, sees its nodes handled and managed by the mentioned financial institutions. There is a maximum number of Ripple tokens to be hand in the world, set at the moment of its inception to the market. The said number can’t go higher, which means that there aren’t any new XRPs being created. Ripple and Bitcoin: differences and complementary traits While numerous people within the industry state that Bitcoin and Ripple are competitors, that may not be precisely the case. There are some differences, though: Bitcoin implements the proof-of-work system, which is a piece of data difficult (costly, time-consuming) to produce but easy for others to verify. It has to satisfy a set of requirements, too. In the case of Bitcoin, it implements the Hashcash proof of work system. Ripple, meanwhile, uses the already explained distributed ledger, the “consensus” one, so there are notable differences in the modus operandi. Ripple is owned and administrated by OpenCoin and the Ripple Company, whereas Bitcoin is a decentralized system in which there are no central authorities. Now, what would you say if we told you that Ripple’s traits and features could benefit Bitcoin users? Remember, Ripple is best known and has attained most of its international recognition, as a payment system or protocol. Ripple can provide Bitcoin with more ways to connect with those using other forms of currency, as it preaches expedited transactions and increased stability. On top of that, Ripple is a distributed network and therefore does not depend on a single company to manage and secure the transaction database. As a result of that scenario, users don’t have to wait for block confirmations. Selena Larson of CNN Tech explains that Ripples (XRP) cannot be created, or “mined,” by users as it happens with Bitcoin and other cryptocurrencies. The company has control of its destiny in that regard. Ripple’s 10 year projection: success! After a down period recently, Ripple’s value is starting to go up again. This may be your last chance to buy on the cheap! 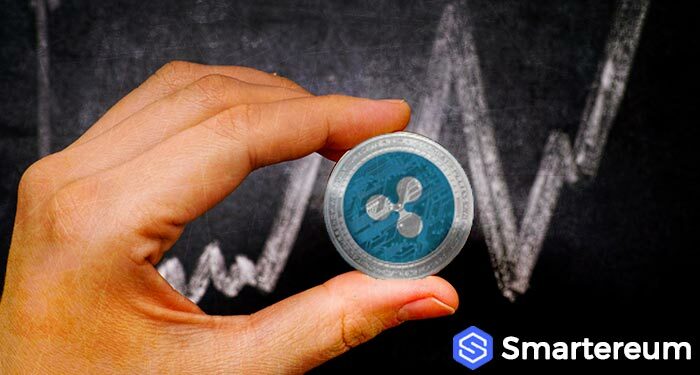 Experts agree upon the notion that, given the network’s popularity, well-built platform, worldwide investing interests and penetration in the media and mainstream society, Ripple is bound to grow in the short, medium, and long-term. Based on current projections, most people within the business agree that Ripple’s value can go up to the $200-$300 range in ten years. It is in the company’s best interest if the price continues to rise, because it will make XRP less volatile. Final thoughts In conclusion, not only is Ripple one of the most relevant payment and exchange networks in the industry but also, it is one a prominent cryptocurrency in a world full of them. That is not the interesting fact about it: the XRP is trending up, and has tons of room to grow! Pundits and cryptocurrency experts point at Ripple when they are asked about the digital tokens with the most potential for 2019 and beyond. After Bitcoin, which is the industry’s leader, there is no clear-cut second placeholder. Maybe, we are starting to experience the rise and consolidation of Ripple. Spot the difference between XRP’s tech and other cryptocurrency assets. Sometimes, it appears like there is no public support for cryptocurrency networks, but this isn’t the case: at least not exactly. It’s true that cryptocurrencies come in different forms, but they all share the same logic regarding programming, private key cryptography, and peer-to-peer networking. So, What Makes XRP Different? XRP was created in 2012 but has already secured $40 billion in value. Regarding market capitalization, it ranks as the third largest cryptocurrency worldwide. 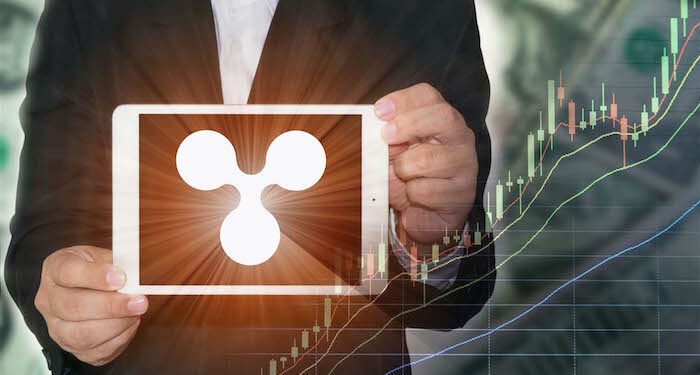 Ripple, the company in charge of its operations, has been able to link up some impressive partnerships for the asset successfully. New reports have revealed that the asset, XRP, isn’t as successful as it appears. Ripple’s other financial products have contributed to its overall value. If you want to benefit from the market, learning as much as you can about the distinction between Ripple’s tech and other products (say Bitcoin and Ethereum) in the market will be helpful. 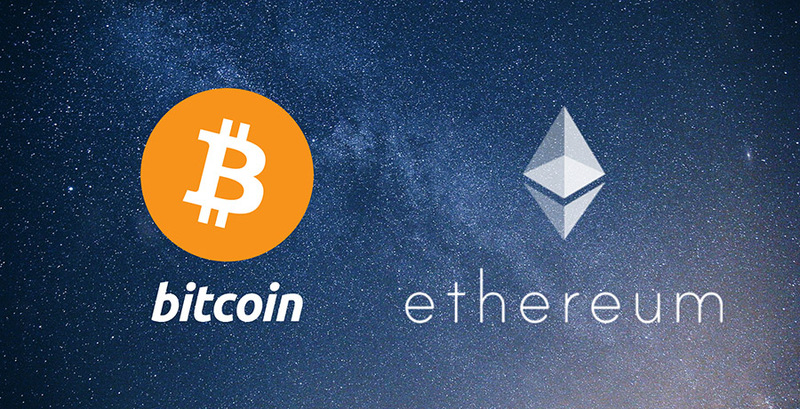 Although Ethereum, Bitcoin, and XRP trade on public exchanges, the method of operation is different. For starters, the ledger and consensus algorithm isn’t the same. XRP as a cryptocurrency runs on the XRP ledger. The difference between this cryptocurrency and others is how the system solves a common challenge. The main problem people face with an algorithm like this is the double-spend problem. Ethereum and Bitcoin solve this problem with the proof of work algorithm. However, XRP solves it with an alternative trust-based system that depends on a segment of nodes to make the ultimate decision. The segment is referred to as Unique Node List. This system allows the blockchain to cope with a higher throughput of transactions compared to other systems that depend on the proof of work. The development and governance, supply and token economics, and value proposition techniques all contribute to make XRP a rather exceptional product. Statistics have revealed that it will continue to rise in value as time goes on.